Are you an analogue synth head? Then you will definitely want to check out the Moog Sound Lab currently set up and awaiting visitors at Dublin Science Gallery (head for the Trinity Pearse street entrance)! 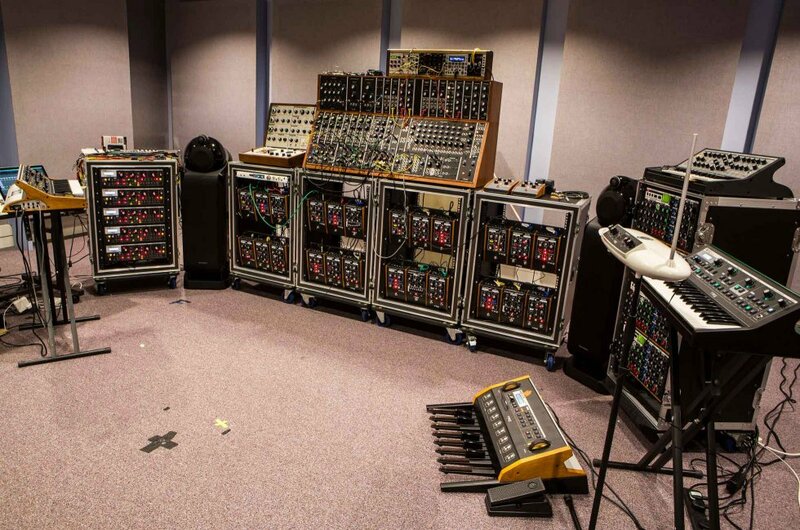 You can walk in and play with a room full of Moog synth goodness. Alongside that are a couple of dozen other sound and music-focused exhibits on display at the Science Gallery’s current “Sound Check” exhibition. Don’t expect to find the traditional audio tech here, it’s all about novel ideas and weird inventions. The Moog Sound Lab is probably the most mainstream of the offerings on display! A stroll through the gallery’s collection of unconventional (and highly interactive) exhibits is bound to spark some new ideas in any budding DIY builder. You can’t help but get creative in the presence of the array of ingenuity and imagination on display here, from high heel synth guitars to a theremin tapestry, musical bikes and a five player pinball noise machine. Even the website lets you make weird noises! In addition to everything, there’s also a free performance by Linda Buckley in the Moog Sound Lab on Thursday, September 7th. If all this talk about DIY building and circuit bending makes you want to give it a go, why not check out our course in Practical Audio Electronics and embark on a crash course in home brew circuit building, geared to give your imagination a voice! No prior experience needed.